Hello there and welcome to iSite, a site all about site owners. Here, we strive to provide a place for site owners to have a convenient and easy time finding different types of resources and guides to help them with their site. iSite also offers member pages for those who decide to join our community. On that note, make sure to have a look around, and have a nice day! iSite was created by Water on 8/24/11. After many weeks of planning and organizing, the site was finally created and from the start offered helpful tips and tricks for any site owner who needs them. Oh yeah, and have a Merry Christmas and a Happy New Years! Oh wow, and today is iSite's 4 month anniversary! Welcome to iSpeak! This is a pretty important section, because here you can find news and updates about site owner sand their sites, plus just some fun chat. To post a message or to reply to someone else's message, just fill out the form below and neomail it to me. Pennwick has a lovely new layout! I have also not received any submissions for the Halloween story competition, so if you enter, you will most likely automatically receive one of the gorgeous awards made by The Lunch Box! So be sure to check it out and submit, but remember, entries are due by November 1st! Looking for older iSpeak messages? Click here to see the archives. This is iProfile, a section for iSite members to have their own profile page! Here, you can find out about your favorite site owners, and create a page for yourself. All you have to do is fill out the form below and I'll add it to the site. If you want an example, then you can look at my profile page under the listings. (remember that these are just suggestions. You can add and take away categories) Name: Icon: Site(s): Country: Favorite color: Favrotite animal: Favroite thing to do on Neo: Best friend on Neo: Your advice to site owners: About you: Favorite site: Favorite board: Favorite pet: + anything else you want to add or take away! You can also use this button to link back to your profile! All you have to do is add your username after it says Astrophia. An example would be /~Astrophia#usernamehere. Your advice to site owners: Read the guides! Really, if people just read the advice of Cass, Turnip or Rica, sites would be so much better! About you: I speak a little Chinese and French, and I'm left-handed! I'm not very old, too. I love to read and write, draw and dance, and I take photos. I dislike spelling and grammar mistakes, especially basic ones. Your favorite site ever: Tough to say, but Soroptimist Directory, Nienke's Premades, The Lunch Box and Kissmoto's 100k A Day are among my favorites. 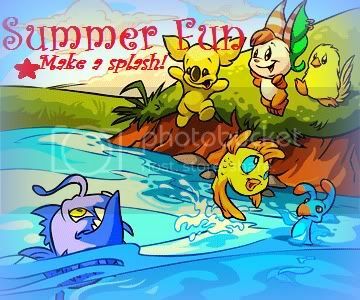 Favorite Neopet: Wocky, Aisha, Cybunny... between one of those three. Best friend on Neo: Well, my sister (Krystalruby_57) plays neo and I'm the most closest person to her and she's the most closest person to me, so I'd say we were Best Friends! But that doesn't count, right? SO, if she's not my best friend, I'd have to say Rin (rintintan) is. We were in a guild together, and we rule the awesomeness cloud. Your advice to site owners: Just take it slow. Start out using a premade, sure, if you'd like. Even if you don't have amazing content at first, you can make your way there. Just take it little by little, and that's what'll get you to a high quality site, or at least, a well-known site. I love my guild. Send me a NM to talk about it. Send me a request to join your guild an be blocked permanently. I will ask when I want, but that is not anytime soon. If my inbox is ever full, throw me a pile of dung or a soggy old box! I'm not going to accept random neofriend requests. I need to have talked to you first. I plan on making a pet application guide for petpage apps soon. Stay tuned. I also have a few goals, which include getting a UC pet. Ha ha, right? Your favorite site ever: My site(s) of course! Just kidding! I love Soroptimist(/~Soroptimist) more than any other site on neo. Soroptimist is the best. Favorite pet: I'd have to say... hmm...cybunnies, aishas, and sometimes lupes. ♥ But the type of pet I love specificallyw ould have to be a UC Royalgirl Lupe, or another UC Royalgirl pet. Best friend on Neo: Robbie (sk8trboy1234). I know him IRL and I've known him since second grade. Your advice to site owners: Try new things and keep your site refreshed! About you: I am a ballet dancers. I also take hiphop/jazz dance. I love my pug puppy Lily. And I love Alice in Wonderland. Your favorite site ever: Foomanshu. 'Nuff said. About you: If you're that curious about me, head over to my userlookup or the "About Me" section at Simply Amazing. Favorite board: You can always find me on the HC! Favrotite animal: Turtle! I used to have 5! About you: I'm that awkward, shy girl... eh heh? Your favorite site ever: The one and only... Soroptimist Directory! About you: I am 14 years old and I have 2 dogs, 1 brother, 2 sisters, and many foster kids. Favrotite animal: On neo, unis. In real life, leopards and bunnies. Favroite thing to do on Neo: Make sites, chat, and have fun! Best friend on Neo: Well, my cousin plays neo, and even though we don't always agree, she is surely my best friend! Other than that I have to hand it to the person who got me into site making, Redmadam! Your advice to site owners: You should always let your creative juices flow. Even if an idea sounds weird, you should still do it! Never be ashamed at your work. YOU HAVE A SITE, and you are having fun, so that is all that matters. About you: Tons of things on my lookup. Your favorite site ever: My site, DUH! But I love looking at Soroptimist, Simply Amazing, Cosmo, Neostars, and other top notch sites! Favorite pet: see favorite animal. Your advice to site owners: Don't create a site unless you're dedicated to keeping it updated and are willing to take the time to get it up and running. Sites do take a lot of work, and you have to be prepared for that. About you: I love my site (Mesmeric: The Spa)! I'm turning fourteen on Halloween. I love taking photos and want one of those old-fashioned cameras. I hate it when people are illiterate. Erm... I LOVE music, too. Your advice to site owners: Have fun with what you do. If you are doing it for the fame or neopoints, it's pointless to run a site. Favroite thing to do on Neo: Everything! Your advice to site owners: Be dedicated for your site! About you: I like bacon. Your advice to site owners: Make sure you advertise, advertise, advertise! Favorite color: Blue. A dark, midnight blue. With sparkles, preferably. Favorite animal: Kitties! But if we're talking fictional, then MOOGLES!! Favorite thing to do on Neo: Mess around with my guild. Oh, and review sites. I love reviewing sites! Best friend on Neo: Everyone in my guild. Especially Tina. Your advice to site owners: Never, never give up. If something doesn't look right to you, get somebody else's opinion. Most of the time, your first impression's always your best. Go with your gut feeling. Read guides, such as Blithe, for review sites, and How to Offer Great Service, for every other type of site. Using premades is not always frowned upon; I mean, my review site's currently using a premade! I just don't have the time for coding. If you can get a custom layout, go for it! Never pass up such an amazing opportunity. Pay attention to your grammatical errors! I can't tell you how many hours I've spent pointing out grammatical mistakes to people in their reviews. Most of them come back and say, "How on earth did I not notice all these mistakes?!" Don't let the hateful people get you down. A few years ago, my review site was almost shut down (well, it WAS shut down!) by a very hateful, well-known person. (I still have the evidence against her.) She ranted and railed against all my sites on her front page, even though she got a 91% on her review. The missing points? All small grammatical mistakes. It took me a couple of years for Siren's Isle to recover from this, but since it has, I haven't stopped. If you think you're not going anywhere anytime soon, stop and take a break. Just look at Ultima, a graphics site of mine. I thought I could get over my enthusiasm slump by totally revamping the site; it didn't work, and now I'm just letting it rot there in case I do want to come back to it someday. About you: I'm a not-so-normal teenage girl. I'm brunette, about 5'7", and I wear glasses. My eyes are blue, and I'd wear long, floaty skirts every day if possible. I'm currently saving up to go to Dragon*Con as Vaati. I love Vaati. My favorite person ever is Edward Elric from FullMetal Alchemist. I love all sorts of manga, but I don't normally have enough time to watch the corresponding anime. I'm going to end up as an old woman surrounded by kitties and books. If you hurt one of my books, I will hurt you. With a sword. I love to write. Short stories are my specialty. You want to know more? Click here. Don't say I didn't warn you, though. Your favorite site ever: That's a tough one. Well, I check Soroptimist every day, but I also love messing around with Frequent Flyer. Dark Light is pretty freaking rad, too. Then there's the dailies site I visit every single day. Dang, that's a hard question! Favorite board: Either the Help Chat or the Guild Chat. It depends on how I'm feeling that day. Favorite pet: UC Grey Wockies. I love them. If we're talking realistic, though, probably Faerie Lutaris. *snuggles mine* I got him from the lab ray! Other: I've lost my brain. Have you seen it? Your advice to site owners: Persistence. Pays. Off. About you: I love cheese, spinach pizza, and cake most, in that order. I am random. I forget and lose things a lot. I love to use correct grammar and swim (though not really at the same time - I don't have that kind of multitasking ability). My collection of things and "personal" info is on my userlookup. Your advice to site owners: Be patient. A good site takes lots of practice! About you: I am Madame Red and I am on Neopets for almost half a year. I really enjoy it. Be sute to visit my sites - The Bakery and Neostars Magazine. Your advice to site owners: Make your site reflect you. That way, it is unique and not like anyone elses. About you: I'm 17 and I love animals. I play oboe and English horn in my school band. I am extremely obsessed with Harry Potter, Percy Jackson, and Artemis Fowl. I have two wonderful dogs, Pearl and Sophie. Also, I like to use smiles! Favroite thing to do on Neo: Checking out the sitely news in Soroptimist! Your advice to site owners: It doesn't matter about if your recommended at Soroptimist or Ranked at Elle's! It's the enjoyment, just have fun! About you: I'm a BIG reader (Harry Potter, :E). I like animals. I'm smart :). I want to be a doctor when I'm older! Dislikes: Complainers, slack-offs, Mexican food, grammar errors!, teachers who don't teach, the word 'hate', people who say lol when they actually don't lol! Favorite thing to do on Neo: Chat, Lurk, and waste my time. You know, the normal. Best friend on Neo: Wow, um...I think that'd have to be my bud Chloe, who I met at my wonderful guild, Filter. Your advice to site owners: Do not, I repeat, DO NOT get over your head in updates, requests, ect. It pains me tosee those sites that never got off the ground, simply because the owners were unwilling to take a short break, then completely left the site to die. About you: Where should I start? I'm a 13-year-old Neo addict with a bad memory and a love for toast. Oh, and I play volleyball. Your favorite site ever: Tough, but I'd have to say Soroptimist, AANP (You will be missed), and Neostars Magazine. Favorite board: HCers for the win! Favorite color: Red and blue. I keep going back and forth between them. Favrotite animal: Lemme see. I've got to say a dog because I'm really not sure what my favorite animal is. If we're talking mythical creature, then unicorns FTW. Favorite thing to do on Neo: Lurk the boards, my sites, playing random games, lurking in general. Your advice to site owners: You have to have patience, time, skill, and motive to run a good site. Without these things I can't say the site will last very long. You have to be goood at what you to and want to do it. Also, you must be prepared to take on a new responsibility. About you: Well, I'm your average, zombie like girl. I try to be nice and kind while making the mood light and fun. I'm caring and generally quiet but I have my hyper moments. And when I have my hyper moments... well then be warned. I'm so bad at writing about myself, so hopefully this paragraph will do. Your favorite site ever: Hmm, well my all around favorite site would have to be Soroptimist. I lurk the site every day for news and updates and I love what kind of ideas Cass brings to the site. This is iGuide, a section where you can find the top notch guides on how to improve your sites. Every guide is user made just for iSite, so please be sure to check them out. The guides are seperated into different categories for organization. If you would like to submit a guide, just fill out the form below and neomail it to me. Welcome to iRequest, a section where you can request a graphic from an iSite member or find sites with open requests. To be an iSite graphics maker, you do not need to own a site! Becoming a graphics maker will let you have an iSite profile page even if you don't have a site. So, with that, take a look below at the different pages! Come here to request from our very own iSite members. Here you can find open requests from other sites. Updated every day. Do you want to become an iSite graphics maker? Then click on this link to learn all about it. Would you like to request a graphic from our own iSite members? Well then just take a look below to find our requesters. If the graphics maker has a page then you can view it by clicking on their name. Each person has a different form, and remember to always request when their requests are open! You can request from this page or from the page here. ● All credit must be linked to Christina's userlookup (johnathan22henry12) or to this page. ● Only request when requests are open. ● There will only be five slots open at a time. ● Please fill out all parts of the form. 2.) You can edit my designs as you wish, as long as you once again, leave credit. 3.) Put "cherry blossoms" in your request form when I ask: Flower? 5.) Please neomail ccyung with the request form for all requests! So request from Simply Amazing, please go here! ● All credit must be linked to Frosty's userlookup (tazzopia) or to this page. ● There will only be three slots open at a time. ● You may request 1 petpage per month, and two buttons per month. ● I only make Neo-Related petpages, button can be any image. ● You must link back to my user-lookup (ms_master_1) for petpages and buttons. ● Put as much detail in your form as possible. ● Your site must be open for 2 weeks for petpages, 1 week for buttons. ● Title your form as either iSite button Request or iSite Petpage Request. ● All credit must be linked to Renzo's userlookup (cleo_u_rock) or to this page. ● All credit must be linked to Elena's userlookup (elenah) or to this page. So do you want to work for our graphics team here at iSite? We would love to have you join. There are no times in which becoming a graphics maker is closed, so you can join without the worry of it closing. Also, you do not have to own a site to apply! Becoming a graphics maker enables you to have a profile, use iSpeak, etc. Continue ahead to fill out the form. Welcome to iCompete, the source of iSite's unique competitions. Why so unique you ask? Well, we're here to put a twist on every type of competition, from your classic SOTM to the most random of competitions around. Just take a peak below and let the fun begin. It's time to create a mascot for your site. In this competition, you have to make a mascot that fits the theme with your site. Make sure to be as creative as possible, and the site with the mascot with the most votes wins the title of Ultimate Mascot. ● No begging for votes. ● The more creative the better. Try to make your entry interesting and fun to read/look through. ● Only six sites will be able to enter. After that the voting will start. ● Only 1 vote per person. ● If you are entered in the competition, you cannot vote for yourself but you can vote for someone else entered. ● Do not feel forced or made to vote for someone. Vote for who you think deserves to win. ● Also, vote for the site which you think has the best mascot created, not the quality of the site. Looking for some of the top sites around? Listed here are the sites that make us stop and stare chosen by iSite members. Request an in-depth and quick review here. Also, check out some of our members' review sites. How are we doing? How can we improve? We'd love it if you could fill out this simple survey and poll about iSite's quality and how we can make things better for you. Welcome to iSite's Ranking section. Have you always wondered which sites are the best of the best? Which sites shine above the others? Well here are our listing, also contributed by you, iSite members! We love to hear your opinions as well. So take a look below to view the rankings. Even when entering Kaleidoscopic you can tell that it's not like any ordinary competition site. With a beautiful layout, different types of competitions, and extras, it's definitely a site to come back to. Well, what can I say that has not already been said. Soroptimist Directory is a site known from all parts of Neopia. While being the largest directory, Soroptimist has fun extras and events plus The Status Center when you want to find an open request. Soroptimist is just a flat out amazing site. The Lunch Box is one of the top graphics sites around because it has so much high quality content to supply any site. There's something there for everyone, whether it's a resource or an iPod wallpaper. TLB also has extremely fast requests. Why not take a look? The HCers Survival Kit is a fun site to find everything you need to survive the HC. Ranging from your basic HC survival kit to the full out You wish! Kit, you'll have everything you'll need to survive the dangerous Help Boards. Nienke's Premades has a layout/resource for everyone. With 149 layouts and 356 resources and counting, you can find anything you'd need for your site. Frequent Flyer offers quick and in-depth reviews to help you improve your site. FF has so many different types of reviews to help you out with any aspect of your site you need help on. Definitely go here if you want an amazing and helpful review. Utopia is the source of many beautiful buttons. Whenever your site needs a button, you can always expect a high quality one that will wow your visitors. Bedazzled is a beautiful petpage request site, with amazing requests. Every single requested layout has been made beautifully. Monky makes fabulous graphics, so you must come check out Bedazzled for an amazing layout. Classic Roots is an awesome Untaken Names site that provides each name with a latin refrence attatched. Rather than just picking a random name, you learn what the root of the name means which greatly helps with making a character for your pet. Adding reviews/coming up with ideas. Hey iSite visitor, welcome to the Weekly Survey and Poll page. We'd love it if you could fill out and vote for things that you'd like to see added to the site and what we can do to improve our service to you. It'll only take you a few minutes. What type of guides would you like to see the most in iGuide? The Site Club is our amazing sister site. With similarities to iSite, The Site Club offers advertisments, activities, and much more! Definitely go check it out. Worth a Visit at Enchanted. Recommended at Soroptimist Directory, Elle's Help Guide, Rosette Directory, Enchanted, Cloud 14, and What a Wonderful World. Notebook is a writing site made for Neopian writers to express their creativity and to show their true colors. Here, enjoy submissions sent in by other Neopians and find many helpful guides and tips to help you on your writing career. Textures on layout from and Nienke's Premades. Small navigation buttons from El Pix.